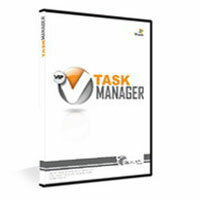 Description: Task management together with project management and time management, help us achieve the goals we set. We believe that task management is even more powerful because task is a fundamental unit of anything we do, so if we do something wrong on task level, it will affect the whole project or business plan. Description: A-PDF Merger is a simple, lightning-fast desktop utility program that lets you combine two or more image files or Acrobat PDF files into a single PDF document. A-PDF Merger provides special merge methods that allow you to combine documents and document parts in a number of different ways. Other features include the ability to combine bookmarks, change the Properties and security settings of the output PDF document etc. Description: Adamant Solutions is a web design and online marketing studio, servicing businesses and government organisations of all sizes within Melbourne, Melbourne and throughout the world. We pride ourselves on the quality of our services, our dedication and our competitive prices. Description: Richard Goddeau GSCSC, Inc. Global Software, Inc. gscsc.net Adaptive Technology With Financing.